It is almost time for the most heart-shaped and love-filled day of the year again. 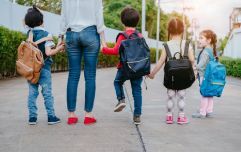 Everyone always says that Valentine's Day changes once you have kids, but seriously; who wants to be out in a busy and over-priced restaurant anyway (she says bitterly...). Just joking, guys. Anyway, oysters and Prosecco aside, there are so many other fun ways to fill this "holiday" without having to even leave the house. Meaning, of course, that you not only save on the (over-priced) wine, but also on babysitters. Win-win. This year (like last year), I am planning an afternoon of arts and crafts with a house filled with little friends (which my six-year-old and me are equally excited about, her because of the little friends, me because I get to live my most Pinterest-able decorating ideas...), followed by an M&S Dine-In with the other half. A Valentine after my very own heart. These cute little animal candy huggers are the perfect handmade Valentine, I think, for children to share with their classmates at school. 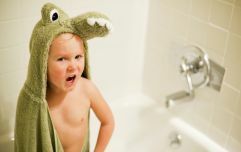 Simply draw your animal of choice (we think you can't beat a teddy!) 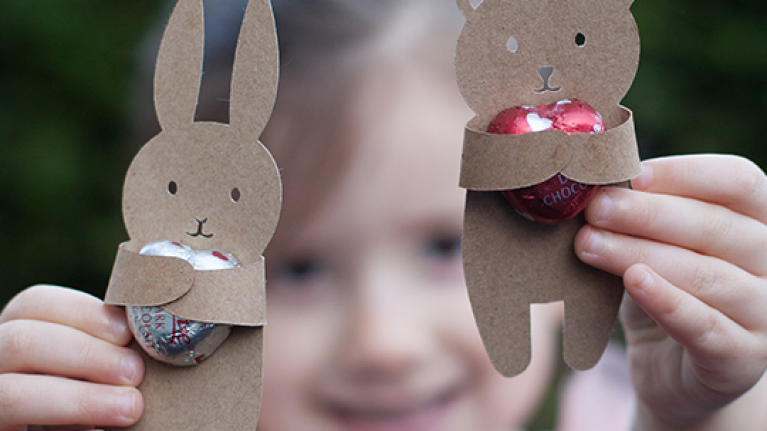 onto craft paper, cut out, use a glue-dot to attach a little wrapped piece of chocolate or candy, and you are good to go. Have the kids paint their four fingers with brown paint and pressing it on a white sheet of card stock paper. Make sure NOT to do the thumb! 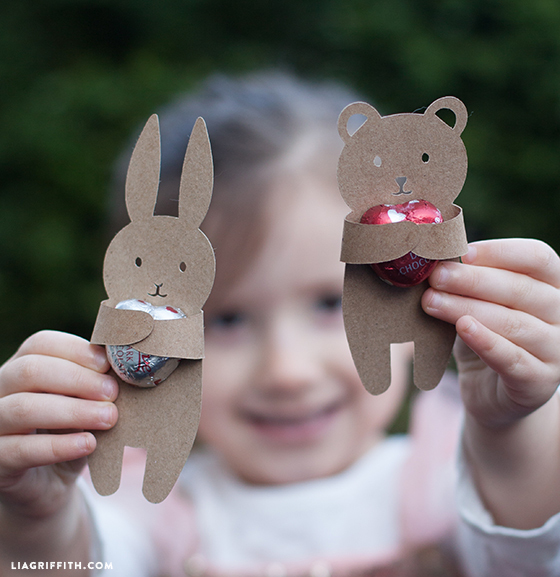 Cut out a tail, head, nose, and ears with the brown paper. Paint the monkey’s face with the brown paint as well as the tail and the edge of the ears. Take a black sharpie and draw a nose and mouth. Use green squeeze paint to make vines and add heart stickers hanging down from it. 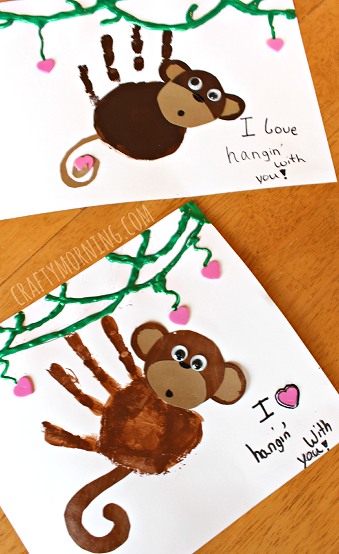 Finish off the craft with the quote “I love hangin’ with you!” for Valentines. Paint some toilet rolls and allow to dry. You can cut some down to a shorter length for some smaller bugs if you like. Cut two pipe cleaners in half to get four pieces. Thread three of these through the holes to make six legs, attach small beads at the ends. You can add washi tape to the body of your bug for some extra decor. 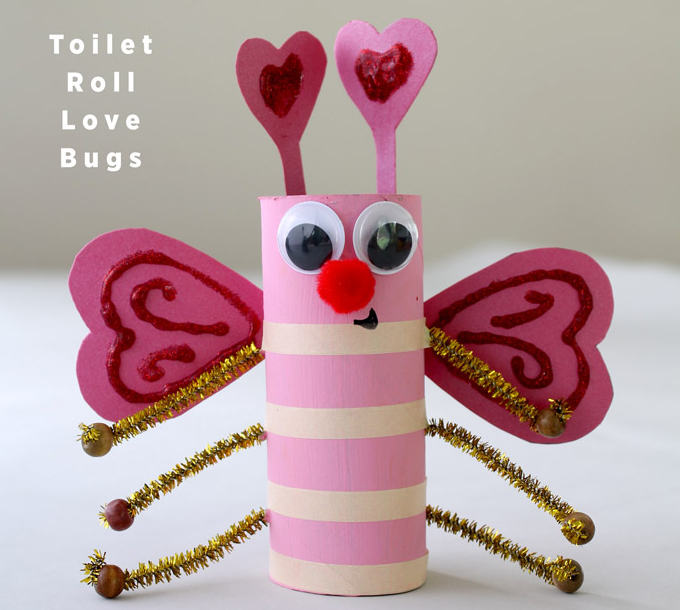 Cut out wings and antennas from paper and decorate these with glue and glitter before you glue them onto your bug. Glue your googly eyes on last and set to dry.